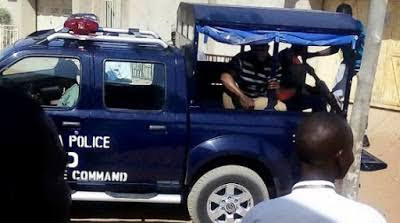 The police have arrested a 53-year-old man, Ibrahim Haruna, and his 40-year-old son, Sagir, for the murder of the daughter-in-law of the head of Burdugau village in the Malumfashi Local Government Area of Katsina State. Ibrahim and Sagir have been remanded in the Katsina Prison custody in connection with the incident. The village head, Alhaji Gambo Umar, had reported the case at the Malumfashi police station. Umar had told the police that some unidentified persons stormed the village at about 2am on March 27, 2018 and forcefully entered the house of his son, Zaharaddeen Yusuf, murdering his wife, Asiya. The village head further told the police that the assailants abandoned a knife on the crime scene. According to him, the assailants, after the operation, escaped into Haruna’s house. The knife allegedly abandoned by the assailants was also said to have been identified as belonging to Sagir. The Punch reports that the plea of the accused persons was not taken as the presiding magistrate, Hajiya Fadile Dikko, said culpable homicide case was triable only at the high court. She said the trial of the duo would also depend on the outcome of legal advice from the state Ministry of Justice after completion of police investigation. Police Prosecutor, Inspector, Sani Ado, however told the court that investigation had already commenced into the case and was in progress. Ado prayed for an adjournment. The magistrate adjourned the case till May 28. She directed that the father and son should be remanded in prison, noting that they could apply for bail from custody.